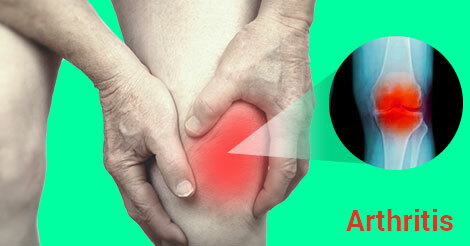 Arthritis is any of the more than 100 inflammatory joint disorders characterized by pain, swelling and limited movement. Arthritis may be caused by inflammation or infection in a joint, by degeneration of a joint as a person becomes older, or by a disorder of which arthritis is a symptom. The treatment of Arthritis involves medications through steroidal drugs or non–steroidal pain–killers. The other option is surgery. The type of treatment to be used depends solely on the condition of the patient and is a decision to be taken by the physician. It is a method of stopping pain in a stiff joint (such as the ankle) and the fusion of bones via an operation (arthrodesis or artificial ankylosis). Another operation is the replacement of the affected joint by an artificial one made of steel or plastic. This is highly effective for arthritic fingers or a hip, but is less successful for knee or ankle joints. Hydrocortisone cannot cure arthritis. Its effect is to reduce the inflammation in a joint and thereby, relieve pain. Treatment is highly effective for as long as the drug is present, but when the effect wears off, the pain may return. Too many injections are dangerous, because they may damage the joint.